BMW’s online configurators usually help out when deciding what options and color choices you want to mix before committing to purchase a new car. However, they don’t tell the full story, at least when it comes to Individual colors. As you may very well know, the Individual catalogue is the one showing the most sought-after colors, for those who want to pry themselves away from the mundane shades of white, grey and black BMW cars usually come in. An online configurator that shows you exactly how your preferred car looks like in a certain shade of the Individual palette does seem like a great idea, right? How about one that shows you all the color choices and what car is available with each color? That sounds even better in my book. 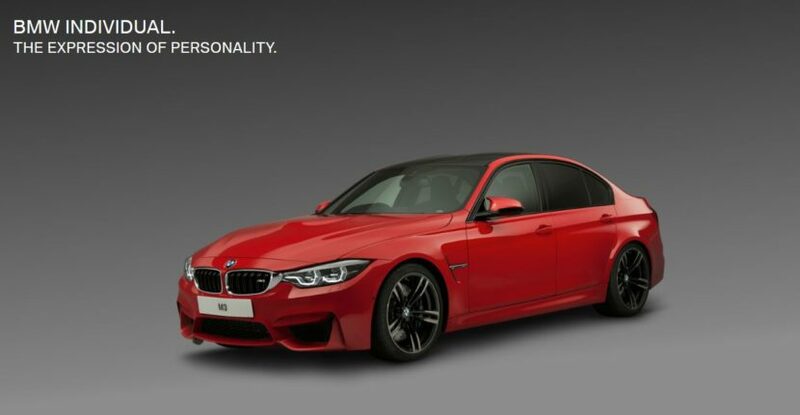 And that’s exactly what we found on BMW’s UK website. There’s a new page that allows you to see all the colors in the Individual catalogue and a lot more info about them than what you get in the standard configurator. The way it works is also quite brilliant. You choose the color and a drop down menu shows you exactly which cars can be had with it. That’s a big issue since if you do go through the standard website, you have to first choose your car and then figure out if your preferred color is available for it. This way, you first choose the paint and then see exactly what car can be had with it. The drop down list also shows exactly how much the paint costs on every model. Most of the colors are available on almost the entire range, excluding the 1 Series, 2 Series and 3 Series GT. However, for Frozen shades you need to pick a car above the M3, for example, something you should consider when picking your favorite. Now, before you head on down on the website, I need to warn you that you might be spending some time on it, as this one editor wasted nearly half his day trying to decide his favorite and is still undecided.